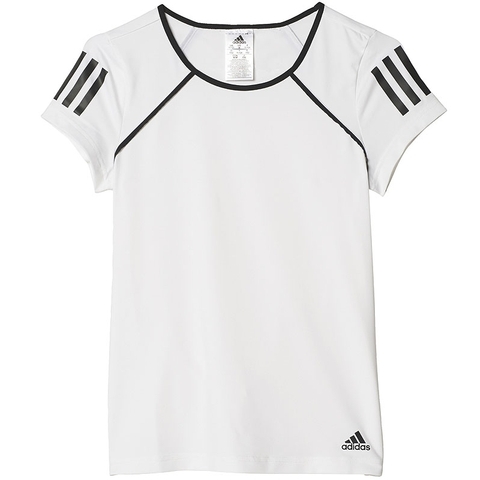 The Adidas Club Girl`s Tennis Tee is made with climalite fabric that pulls away sweat from the body to the outer fabric face for quick evaporation enhancing bodys natural temperature regulation.. 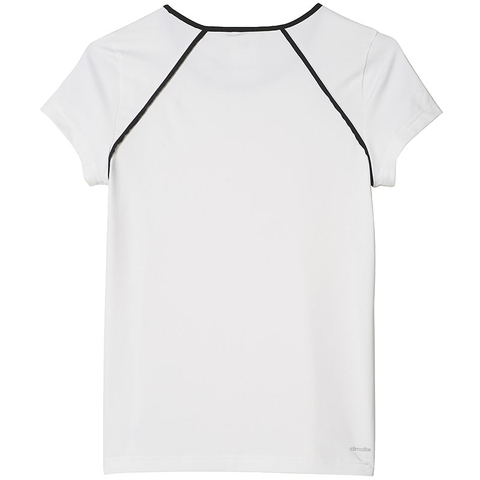 Mesh binding around the neckline. An excellent addition to any athletes wardrobe that is looking to stay cool on the court and focused on the game!